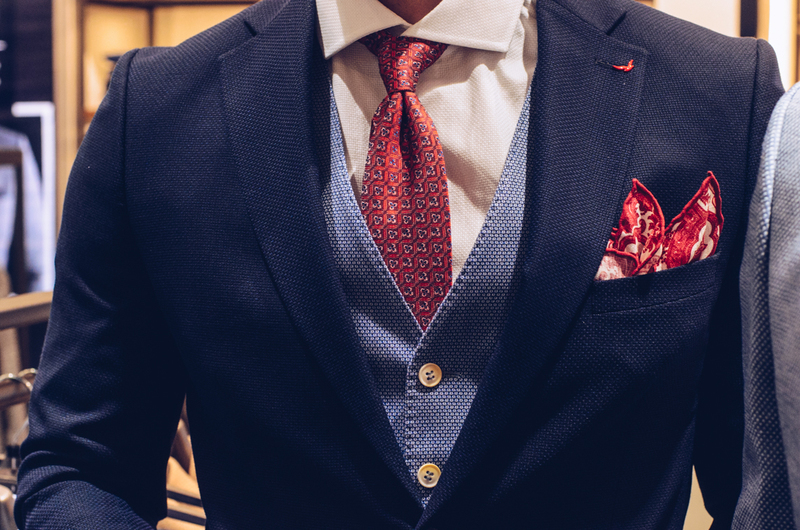 Turkish menswear brand D’S damat have opened their first store in South Africa in Menlyn Park. The store was officially opened by the Ambassador of Turkey. Sporting legends Dr Khumalo, Pollen Ndlanya, Fani Madida and John Mametsa joined other Celebrity guests Donovan Goliath, Kay Sibiya, Leroy Marc, Chef Lentswe and Bhekisizwe Mahlawe. D’S damat prides itself on affordable luxury which caters to men who want quality and stylish apparel for both casual and formal affairs. Franchise owner Callistus Phologolo opened his first D’S damat store in Botswana in November 2017. The young Motswana entrepreneur is thrilled to bring this exclusive luxury menswear brand to South Africa. “We believe the world needs affordable luxury and that is why our purpose is to provide good quality and value for money” concluded Saridogan. Former Kaizer Chiefs striker Fani Madida who went on to play football clubs in Turkey explained the meaning behind the Turkish name damat, which in English translation means “Groom” and stressed the importance of how personal style enhanced brand image. “We are very excited to present the brand, and I genuinely believe that D’S damat will contribute in the bilateral trade of the textile sector, as well as the relationship with South African and Turkish people”, says the First Secretary of the Turkish embassy Ms. Deniz Cankaya. His Excellency Mr Pule Malefane, South African Ambassador in Turkey, provided some key insights and context into what D’S damat means for the South African footprint, and its growing economy, along with how it will contribute to strengthening the relationships between Turkey and South Africa. “Despite all the challenges we are faced with in the country there is an opportunity to position our country as one of the successful economies in the world and D’S damat is one of those brands that has demonstrated this opportunity, by creating jobs in the country and improving our innovation and creativity”. “These relationships should not be viewed as a threat but must be embraced as supplementing the efforts of ensuring that we are able to produce affordable quality products that can be appreciated by the global market”. “Equally moving is the commitments that D’S damat has made to partner with an African entrepreneur which endeavours us to turn the tide, and to transform our economy, every job that is created must be a job that is appreciated and protected, therefore it is vital that we take this opportunity to maximize on the relationships we have with markets abroad” says Pule. The auspicious night ended off with a ribbon cutting ceremony, where guests were showered with delectable champagne to signify the official opening led by the first secretary of the Turkish embassy, Mrs Deniz Cankaya. South African men can now enjoy luxury and quality menswear at affordable prices.